President Donald Trump and Kim Jong Un arrived in Vietnam on Tuesday for their second summit in less than a year, at which the U.S. side will urge tangible steps by North Korea to dismantle its nuclear weapons program, as Reuters reports. Dive Deeper : “A Survey of Major North Korean WMD Facilities Before Trump-Kim Summit,” by CSIS’s Joseph Bermudez and Victor Cha. “Congressional Testimony: Options for U.S. Diplomacy on North Korea,” by CSIS’s Victor Cha. “What to Know About Sanctions on North Korea,” by CFR’s Eleanor Albert. “Trump, Kim and the Hanoi Summit — At Best, a Peace Mirage,” by CSIS’s Sue Mi Terry for the LA Times. For the first time in five decades, Indian warplanes crossed into Pakistan and conducted airstrikes on Tuesday. But in the jarring escalation of hostilities, the leadership of each nuclear-armed country also appeared to leave itself a way out of pushing the conflict into war, as the NYT’s Maria Abi-Habib reports. Dive Deeper : “Critical Questions: Heightened Tensions in South Asia,” by CSIS’s Rick Rossow. Iranian President Hassan Rouhani scrambled Tuesday to avert a political crisis from the resignation of the country’s top diplomat, praising his fellow moderate foreign minister on live television and dispatching senior officials to urge him not to quit, as the WSJ’s Sune Engel Rasmussen and Farnaz Fassihi report. Russian state television reported that the country was working on a hypersonic missile that could reach American targets in less than five minutes. It then listed some of those targets on TV, including the Pentagon and Camp David. 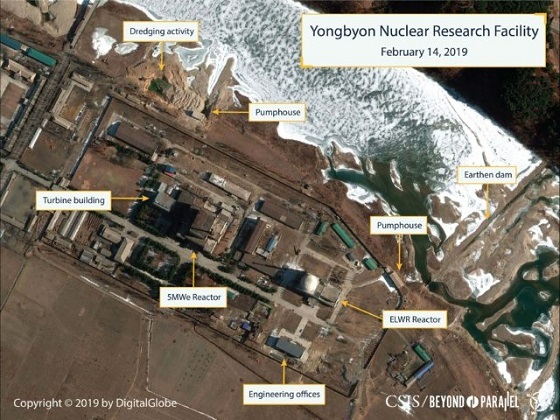 On the eve of the second summit meeting between President Trump and Kim Jong-un, CSIS's Beyond Parallel undertook a brief satellite imagery survey of other major North Korean WMD facilities to determine if there were any new developments. (Photo credit: Nhac Nguyen/Getty Images). 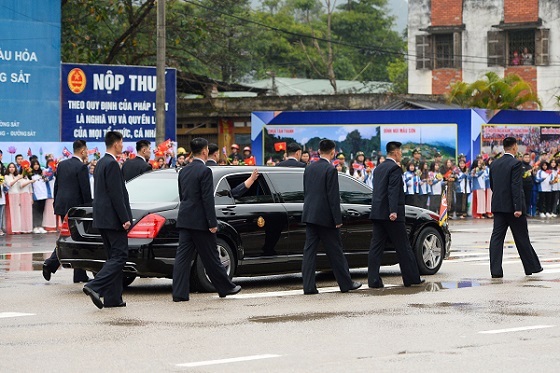 North Korean leader Kim Jong Un waves from inside his car surrounded by bodyguards as he leaves the Dong Dang railway station to attend the second U.S.-North Korea summit in Hanoi. “Tracing Agricultural Transformation in Ethiopia,” by CSIS's Christian Man. At 9:00 a.m., CSIS will host a conference on the role and leadership of the U.S. in affirming positive trade relationships. The event includes a keynote from the former Secretary of Treasury Henry M. Paulson followed by three breakout sessions. Additionally, at 2:00 p.m., the Brookings Institution holds a conversation with former National Security Advisor Stephen Hadley on the role of the U.S. in Afghanistan. And, at 4:00 p.m., the George Washington Elliot School of International Business host a lecture on the politics of state-owned media in Russia. Today, CSIS launched a new original series "High Resolution" on North Korea's Sakkanmol missile operating base. Using original satellite imagery from Digital Globe, CSIS's iDeas Lab developed an immersive and high-fidelity approach to make real 3D visualizations from publicly-sourced elevation data. Watch here. Take as Directed is the podcast series of the CSIS Global Health Policy Center. It highlights important news, events, issues, and perspectives in global health policy, particularly in infectious disease, health security, and maternal, newborn, and child health. This year’s Oscars didn’t come off without controversy. I haven’t seen the film that won, but I have to say that “Black Panther,” A Star Is Born” and “BlackKKlansman” restored my faith in the magic of the big screen and it’s ability to impact popular culture. For months at a time it seemed like everyone was talking about those flicks in the way folks used to discuss major films of the 70’s and 80s. Yesterday, I played the Queen clip that opened the Oscars and mentioned Lady Gaga and Bradley Cooper’s performance as well. Gaga and Cooper’s “Shallow” from “A Star Is Born” won best “Original Song.” Their performance of the song at the Oscars was an instant classic.